Yuchengco Museum presents an art exhibition entitled, Eloquent Simplicity in Wood and Fiber, on August 13, 2012. 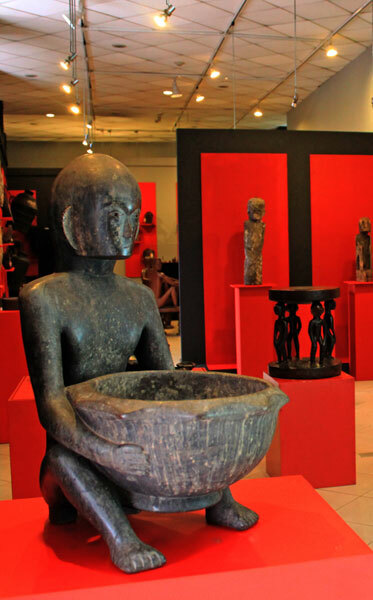 It shows a vast collection of Philippine antique works in wood and fiber. Don't miss this! Exhibit runs till September 25, 2012. The museum is located at G/F RCBC Plaza, Corner Ayala & Sen. Gil J. Puyat Avenues in Makati City. Eloquent Simplicity is comprised of two intertwined exhibits exploring the versatility of wood and fiber as materials for furniture and everyday objects. Featured in the exhibits are traditional everyday objects from the Cordilleras primarily from the collections of Floy Quintos and Armand Voltaire Cating, and select contemporary designs by National Artist Napoleon Abueva, Claude Tayag, Wataru Sakuma, and Daniel Latorre Cruz. The show seeks to define the aesthetic sensibilities of the people of the Cordillera mountains and how natural materials such as wood and fiber are used to create unique utilitarian and ritual objects. On view until September 25, Eloquent Simplicity is a continuation of the museum's thrust to highlight Philippine visual art traditions alongside contemporary expressions.